Read at G's // A personal blog from Giorgos Logiotatidis. 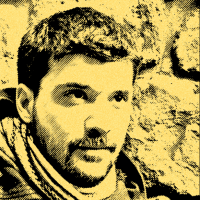 A personal blog from Giorgos Logiotatidis. Software Engineer. Mozillian. Web Brewer. Maker. Free Software Advocate. The Snippets Service allows Mozilla to communicate with Firefox users directly by placing a snippet of text and an image on their new tab page. Snippets share exciting news from the Mozilla World, useful tips and tricks based on user activity and sometimes jokes. NeReS: Manage NewRelic Synthetics Monitors from the command line. I developed NeReS, an (unofficial) cli tool to manage monitors from the command line. NeReS can list the current account monitors, add new, edit or delete existing ones. It can also return the information in raw JSON format so you can further process and automate your monitor generation using tools like jq. There's this popular daily FM Radio show in Greece which posts their shows on SoundCloud after broadcasting them. It's a good -albeit not great, just HTML5 audio is fine- way to listen the show on demand if you're on Desktop. The website is not mobile friendly and the whole embedded SoundCloud experience is sub-optimal. Let alone that you cannot just add the feed to your favorite podcast player to enjoy it. There's an RSS feed on iTunes but it's manually updated and inevitably lags a day or two behind, depending on the availability of the maintainer. Over at MozMeao we are using APScheduler to schedule the execution of periodic tasks, like Django management tasks to clear sessions or to fetch new job listings for Mozilla Careers website. A couple of services provide monitoring of cron job execution including HealthChecks.io and DeadManSnitch. The idea is that you ping a URL after the successful run of the cron job. If the service does not receive a ping within a predefined time window then it triggers notifications to let you know. Myself, I kicked off the meetup with a Micropython on ESP8266 talk. I started with quick intros on Micropython and the ESP8266, moved to using the RERL over Serial with minicom and ended spectacularly with blinking neopixels. Last week's release of Docker (v1.13) added the cache-from build flag which allows the use of local images as build cache and solves the layer caching issue created by Content Addressability as I've blogged before. docker build --cache-from myimage:v1.0 -t myimage:v1.1 . While working on migrating support.mozilla.org away from Kitsune (which is a great community support platform that needs love, remember that internet) I needed to convert about 4M database rows of a custom, Markdown inspired, format to HTML. The challenge of the task is that it needs to happen as fast as possible so we can dump the database, convert the data and load the database onto the new platform with the minimum possible time between the first and the last step. In a Debian server I'm using LVM to create a single logical volume from multiple different volumes. One of the volumes is a loop-back device which refers to a file in another filesystem. The loop-back device needs to be activated before the LVM service starts or the later will fail due to missing volumes. To do so a special systemd unit needs to be created which will not have the default dependencies of units and will get executed before lvm2-activation-early service. 2016-09-12 Edited to prevent caching of builds in pull requests. 2017-07-07 Edited to point to exact git commit b/c we don't use Travis for Snippets Service anymore. I blogged before about building Docker images on Travis and suggested uploading images after successful test runs to Docker Hub and use them as Cache after downloading them in next Travis runs. Travis upgraded recently to Docker version 1.12 (from 1.9) and since version 1.10 Docker features Content Addressability for layers. This change breaks caching and we need to implement a workaround using Travis cache. Piwik is a great FLOSS website analytics platform. I've been self hosting it for different small websites I've managed through the years. Although it's fairly easy to setup and maintain at this level of use, I want to avoid having another service in my maintenance list. While looking for user and web respecting alternatives -read looking for something else than Google Analytics- I realized that Sandstorm Oasis does support Piwik. The road towards the absolute CI/CD pipeline goes through building Docker images and deploying them to production. The code included in the images gets unit tested, both locally during development and after merging in master branch using Travis. But Travis builds its own environment to run the tests on which could be different from the environment of the docker image. For example Travis may be running tests in a Debian based VM with libjpeg version X and our to-be-deployed docker image runs code on-top of Alpine with libjpeg version Y.
Git crypt is a neat git extension to encrypt some files - if not all - in a git repository. Integrates nicely with git using filters and it's use is completely transparent once you have unlocked a repository. Using git-crypt you can still share a repository in public and maintain a set of files with secrets that are accessible to a limited number of users. Especially useful for open source projects. Takis - A util that blocks until a port is open. The problem is that this container will take some time to initialize and become available to accept connections. Depending on what your test and how you run your tests this delay can cause a test failure to due database connection timeouts. Deis and Dokku, the open source Heroku-like PaaS, can be used for hosting static sites too. Since they both support Dockerfile based deployments all we need is an Docker Image with Nginx. I like to self-host services to make things fit my needs instead of the other way around and to satisfy my need to control my data. Also remember that self hosting is really important for the health of the open web and internet. Mozilla's Snippets Service feeds Firefox for Desktop and Android with small HTML or JSON blobs with content to display about:home page. That's the page users get when they open up Firefox. Desktop snippets are usually a line of text and an icon but the service supports much more complicated snippets. Multiple choice forms for our end of year fund raising campaigns, videos about our mission, interactions with the browser Chrome and others. We even had a HTML5 game going once! Pro Trinket is a ATmega328 based board by Adafruit. It's compatible with Arduino IDE and most of the code written for Arduino. It's small factor, cheap and comes with neat accessories like this LiPo backpack addon. Pro Trinket is cheaper, smaller and consumes less power than a typical Arduino board because it lacks things like the FTDI chip used to communicate between the programmer and the board. Downloading HDS Flash (f4m) video streams. Some WebTV or other video streaming websites use a special Adobe (surprise, surprise) inspired protocol to stream their content. The special thing about this protocol is that the file is split into chunks which I guess is good if you want to jump on different points in the video or you have an unstable internet connection but really annoying if you just want to download the video and view it in a different player. Engagement Engineering, the team that I'm part of at Mozilla, runs two Deis clusters on AWS to host important websites including www.mozilla.org. Deis is a Heroku-inspired PaaS which utilizes CoreOS and Docker. It's a great open-source project, developed in the public, with a great Community and commercially backed by Engine Yard. I want to list the extensions of filenames in a directory, sorted and unique. Then use awk to get the last three characters of each line, i.e. filename. AWK's substr function extracts four characters (last argument) of string $0 (first argument) starting at full lenth of the string minus three characters (second argument). This will list the extensions from all files in the current directory and all directories below. Don't hesitate to get a VPS to do your work. This is not going to be one of these posts about how I got a super slim, slick machine or tablet and I moved all my work in the cloud. Fortunately this is old news and nobody talks about it. That being said I have been working on VPS machines for the last 6 months for some tasks. I'm a big fan of Duplicity and I use to backup my laptop to my office based server over scp which in its turn encrypts everything with EncFS and syncs everything up to my SpiderOak account. I was going under a typical maintenance today and I run duplicity collection-status to see how many backup sets I have.